Originally we released all our men’s footage from this contest split over 2 videos. Now it is all together as one huge SUPER VALUE DVD of the men’s event. 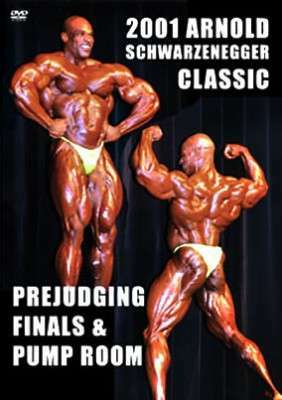 It was not permitted for us to record the men’s prejudging only from the front-on position in the photographers’ pit, so we included our best side-on highlights instead. GMV has shot video at the Arnold Classic in most years since 2001. No known Arnold Classic video/DVD exists from the years 2003 to 2005.